A pack of 10 Bead Strings. 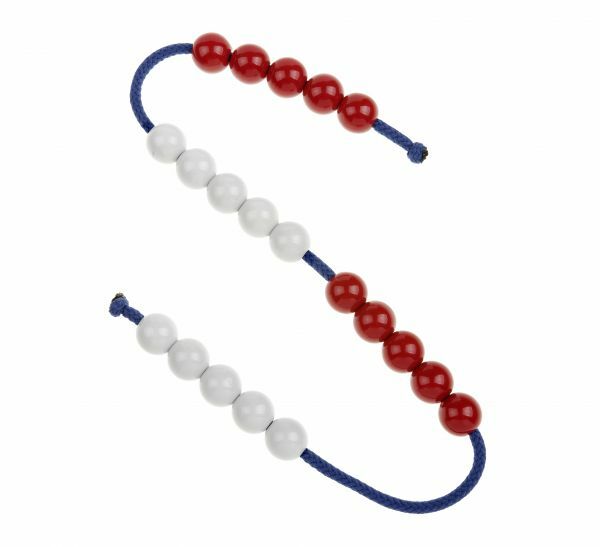 Each string has 20 beads (5 red, 5 white, 5 red, 5 white), each bead has a 16mm diameter. A really useful resource, ideal for teaching number bonds.